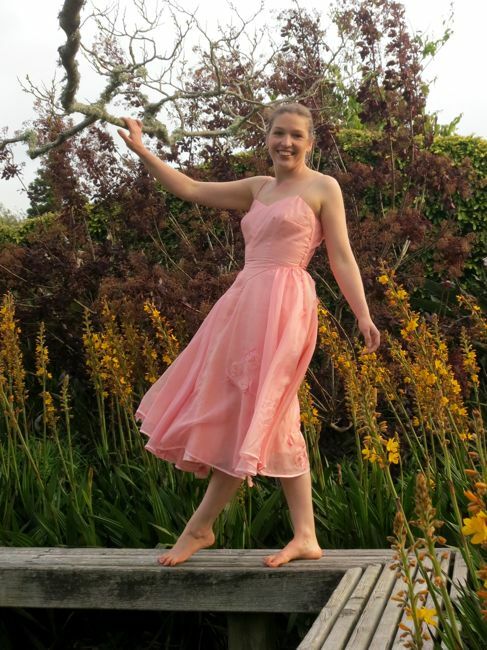 Last week I discussed the idea of how every girl should have a ballerina moment, and shared my inspiration for a ballerina inspired dress, using my grandmother’s fabric and pattern. I have definitely had my ballerina moment now, and it was worth every bit of angst and mad sewing and panicked moment of ‘Oh no! I’ve ruined my fabric!’. 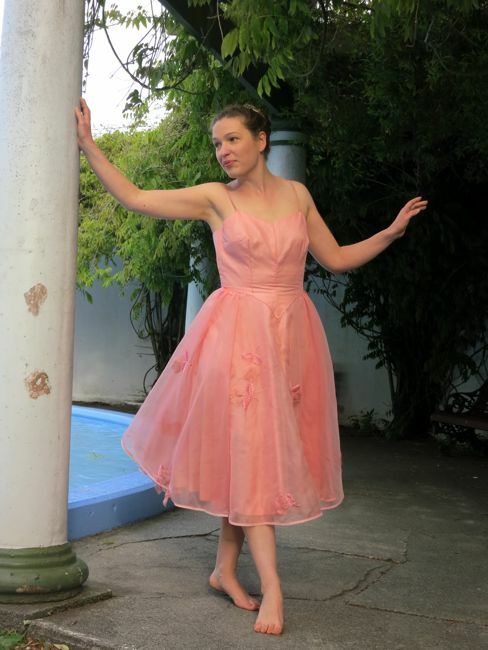 As it turned out, my ballerina moment wasn’t, as I had planned, the Windy Lindy ‘Enchantment Under the Sea’ ball. The dress was done, and I wore it, but the ball was a bit of a wash-out for me: the music was too loud, the dance floor too crowded, the theme didn’t quite come together, and I wasn’t feeling well the whole weekend. So I had to wait another week to be a ballerina, but it came together perfectly: I spent the night in Palmerston North with the fabulous Juliet of The Crazy Gypsy Chronicles, and we had a girl’s night and ate Korean and had too much chocolate silk cake and stayed up too late at night getting excited talking about history and linguistics and sewing and sharing our fabric and pattern stashes and Victorian letter writing books and between-the-wars etiquette guides and basically geeking out about being us. And then the next day we went to Palmy’s Fabric-a-Brac and gorged on more fabric deliciousness and basically had the ultimate sewist weekend. 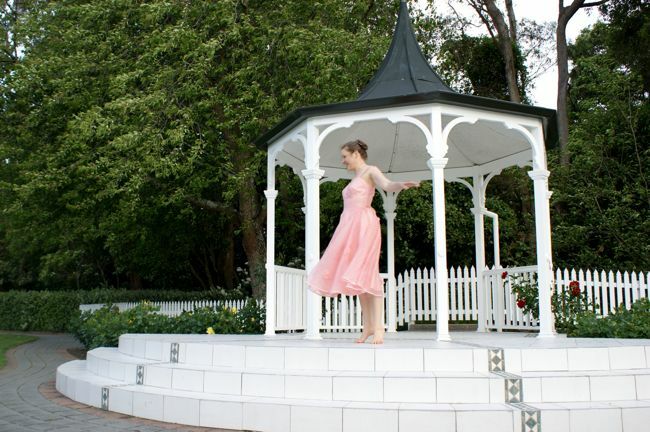 But before we did that, we had a photoshoot in the Palmerston North Esplanade, amongst the rhododendron trees and in the fountain pool and the gazebo. 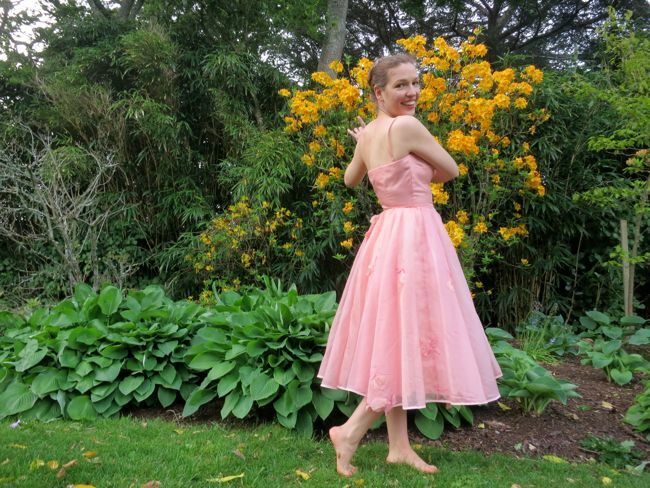 And, despite the freezing wind, and a shoe malfunction, and the wrong bra so the bodice doesn’t fit properly, I felt utterly gorgeous and ballerina-y. 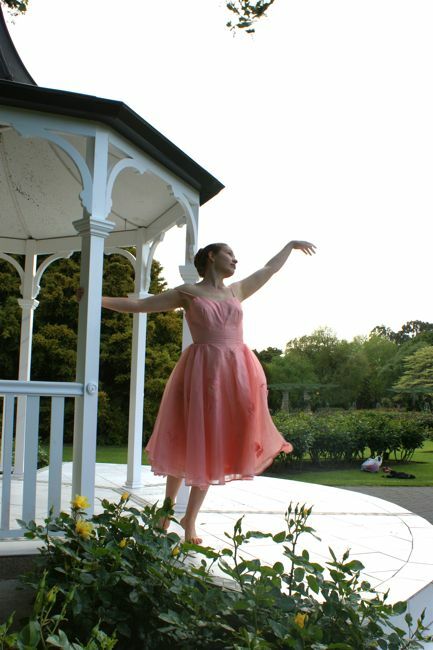 Looking back at the pictures, and thinking of how I felt as I left Wellington for the drive up to Palmerston North, I realised that my ballerina moment had become about far more than putting on a pretty pink dress and pretending to be a dancer. It was a little opportunity to get away from my life, which has been too hectic and busy and stressful lately. It gave me a space and time away from the pressures I put on myself. Be competent. Capable. Mature. Do everything. Live up to everyone’s expectations. Always have the answers. Get it right. 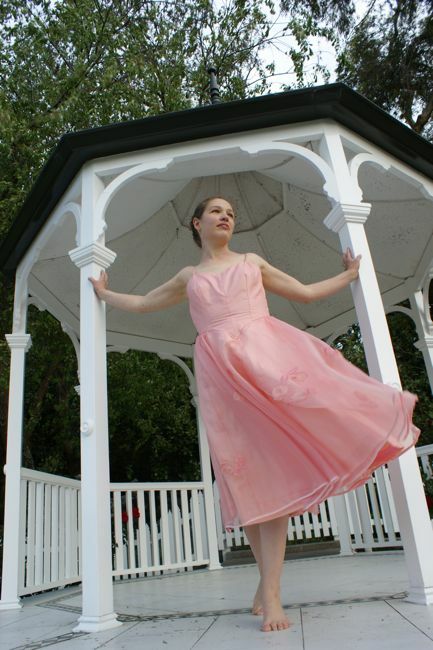 The fluffy pink dress was something I had to do before I was too old for it, because being a ballerina is a little girl’s dream. But being a child for a moment is the most important thing, no matter how old I am. I have to have those moments to be a little girl again, as a relief valve for everything I demand of myself. 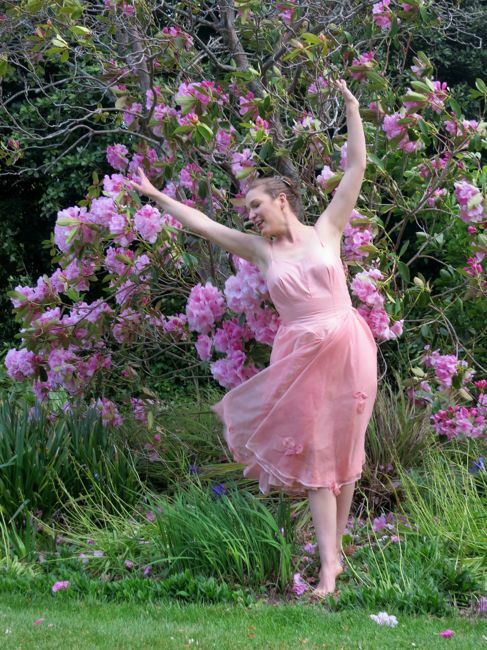 Ballerina moments and time in trees are my personal alternative universes, where I can pretend that I don’t have to worry about anything but how pretty the hem of my skirt is when I twirl. And I think we all need that kind of moment, however we express it. The Alternative Universe: Ballet is basically an alternative universe in and of itself: a world where stories and emotions are all told silently, on point. The ballets that inspired me were all based on fairytales set in fantasy lands where fairy godmothers grant wishes, the dead dance with the living as spirits, girls become birds, and princesses sleep for centuries as roses grow around them. 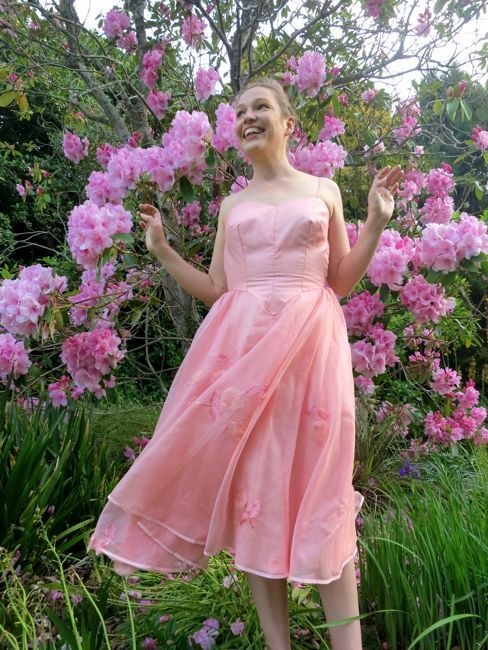 I also wore the dress to an ‘Enchantment Under the Sea’ ball (a la Back to the Future), and anything with time travel has to be an alternative universe! 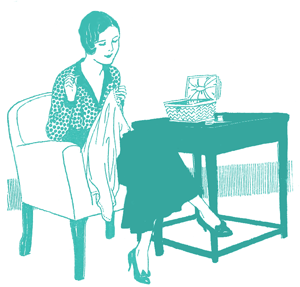 Year: The pattern is from 1952/3, but my inspiration included ballet costumes of the 1830s & 40s. Notions: cotton thread, bias tape (3 whole packets, also from Fabric-a-Brac), and a vintage zip. How historically accurate is it? 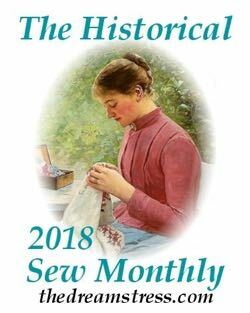 : Not at all for my 1830s/40s inspiration, as the pattern and sewing techniques are all 1950s. First worn: To a Back to the Future ‘Enchantment Under the Sea’ ball, Sat 25 Oct, and then again on Halloween for the photoshoot. It’s absolutely lovely. And you’re absolutely right about those childhood moments. I think the annoying wind helped the skirt to shine in the photos. 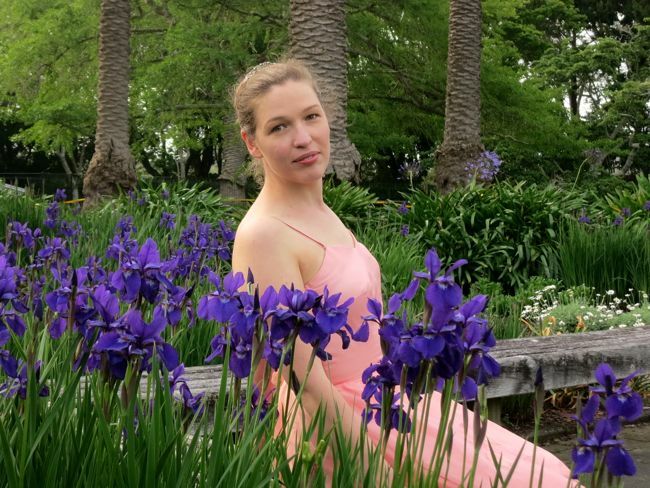 And I love that photo with the irises. They’re so perfectly lined up around you. Thank you! Yes, the wind was great for photos, though it was so strong that there is a whole series of photos I’ll never be showing because they are a bit, ummm…anatomical 😉 And my fingernails were blue by the time we finished! But worth it! I do adore those irises photos as well! One of my favourite flowers, and so spectacular this time of year! Linguistics! Perhaps we can get Juliet to write about some of that as well! She’s actually properly trained in it, whereas I am just interested! You look beautiful. I still love the ballerina look at age 38. I also usually add a tiara just for that little extra sparkle. Thank you! Glad to hear I’m not the only one! You look lovely! And yes, we all need a ballerina moment or two once in a while. Thank you! I feel much refreshed from mine! 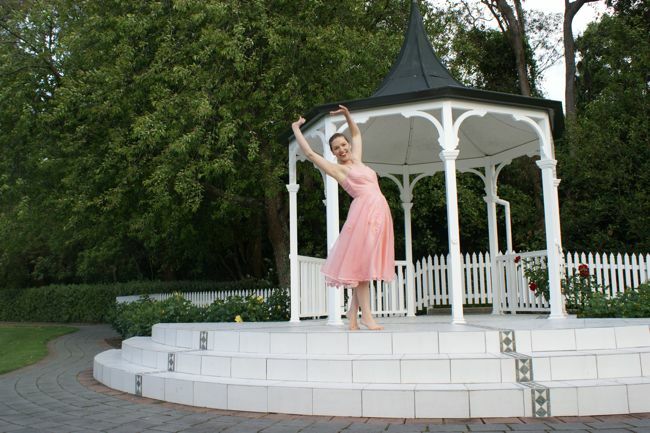 That’s a lovely “ballerina” moment, and it also reminds me of the “Sixteen Going on Seventeen” number in “Sound of Music.” Weren’t they in a gazebo as well? I’ve been having a Martha Graham “modern dance” moment over in my blog, so dance must be in the air. Ooooh…Martha Graham! Must pop over and have a look! 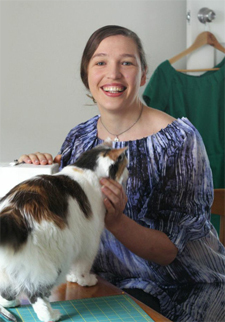 I love the dress and particularly your attitude and insight! I’m twice your age and believe the need for ballerina moments and girls-night in are as important to me now as they are to you. Keep it alive. The dress does a really good job of expressing the 1830s/40s ballet costume theme, in a way that’s wearable today. And the silk is absolutely perfect. Lovely photos! And you look so relaxed and happy. I’m delighted you had a wonderful weekend of escape. You have had such a busy year, what with the new house and the rest of life’s pressures. This dress is the perfect tonic! It’s just beautiful! And so are you in it 🙂 And so is the feeling you write of having while wearing it. Your smiles are so genuine! Your ballerina joy really comes across in the pictures. How lovely to recognize the benefit of escape from regular life and to be able to indulge in it! Our weather finally turned to winter this past weekend but it is lovely to see that your flowers are blooming. 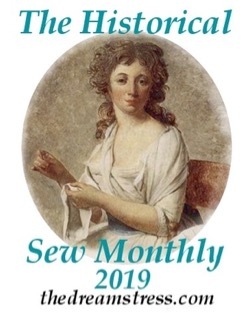 “history and linguistics and sewing and sharing our fabric and pattern stashes and Victorian letter writing books and between-the-wars etiquette guides” – and chocolate cake! Sounds perfectly wonderful (she said wistfully).